Mobile messaging applications have a wide variety of pinpointed influence over businesses. In today's highly evolving marketplace and changing audience preferences, businesses always need to innovate newer measures to connect and collaborate with their audiences without having to feel them burdened under the extreme use of promotional and advertising content. That is when they need to think about using mobile messaging applications in a smart, simple and efficient manner; without having to spam anything. Messaging applications add to a good portion of mobile app marketplace. 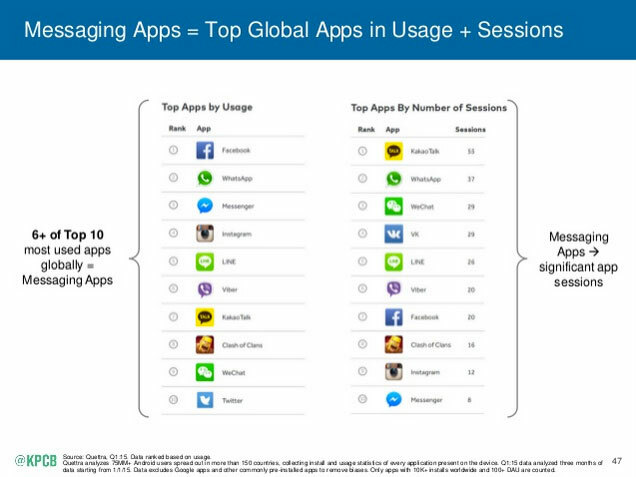 Messaging applications, according to a report, encompass six of the top ten most used apps used globally. Therefore, for businesses, it is quite common and simple to understand that they need to actively leverage on the core benefits of mobile messaging applications to reach out to their audience. Using mobile messaging applications is popular among users because they think it offers them with privacy. They need not to visit and join any public forum to express their displeasure over your service. Rather; they can directly message you and thus get a problem solved quickly whereas you never need to worry about the message gone viral. Some users always prefer to chat in private rather than voicing their opinion elsewhere since it makes them think their opinions and voices are being heard individually and should be taken care of. Different mobile messaging applications offer different types of communication systems - one to one messages, mass messages, timeline posts, stories etc. The unique variant of mobile communication system ensures that you can choose from a good format to learn your audience. One of the great benefits of mobile message for your business is that they can be integrate with your other software. This means they can seamlessly work in any operating system - if they support them. These are just a few of the core benefits associated with mobile messages; which businesses can avail if they work around the core ways to connect and collaborate with their audiences. With the rising demands in the market, and improved range of challenges existing; it has become factually a tough task to choose a good mobile message service provider. That is why as a business you need to be defined about your core requirements. The entire process of choosing a good mobile messages service provider has also become challenging and tough given the availability of so many applications.